With a spear clutched in one hand, a bag of bananas in the other and iPod headphones tucked beneath a white and purple turban, Alexandra Aitken cuts a striking figure as she strides along an Indian country road. The look – completed with pale pink glasses, blue espadrilles and a dagger slung over her white tunic – is a far cry from the tight dresses she favoured in her days as an “It” girl around London. The 32-year-old has changed her name to Uttrang Kaur Khalsa and swapped the world of nightclubs and parties for a simple life as a devout Sikh in the Indian state of Punjab. But even in the holy town of Anandpur Sahib, she cuts an incongruous figure. Few Sikh women wear turbans and her decision to carry a spear puzzles many there because only male warriors usually do so. Her own father, the disgraced Tory Cabinet Minister Jonathan Aitken, vowed in 1995 to use the “sword of truth” against The Guardian when he sued the newspaper for libel in a row over his dealings with Saudi arms traders. In 1999 he was jailed for seven months for perjury after he was revealed to have lied repeatedly. Miss Aitken took her family, including twin Victoria, by surprise when she announced in January last year that she was marrying a Sikh warrior. She had first spotted Inderjot Singh in 2009 when she was practising yoga at the Golden Temple in Amritsar before meeting him on a second visit. Their wedding was arranged with such haste that her parents were unable to attend. In an interview shortly after her marriage, Miss Aitken admitted they had been upset. At the time, Miss Aitken was calling herself Harvinder, but has since changed her name to Uttrang, which she says means “victorious return of the warrior after battle”. It is understood her husband – who has also changed his name to Janbazz – refused to call her “Harvinder”, claiming the name was meaningless. 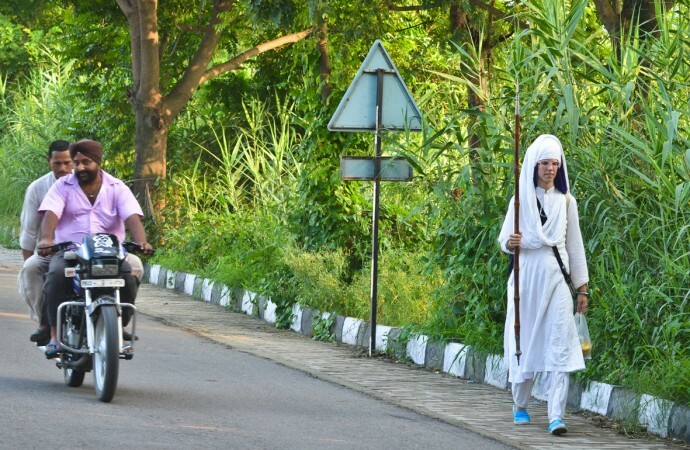 On her website, Miss Aitken says she lives with Nihang Sikhs – the sect to which her husband belongs – but is staying at an ashram run by a sect of yoga Sikhs in the village of Bani. 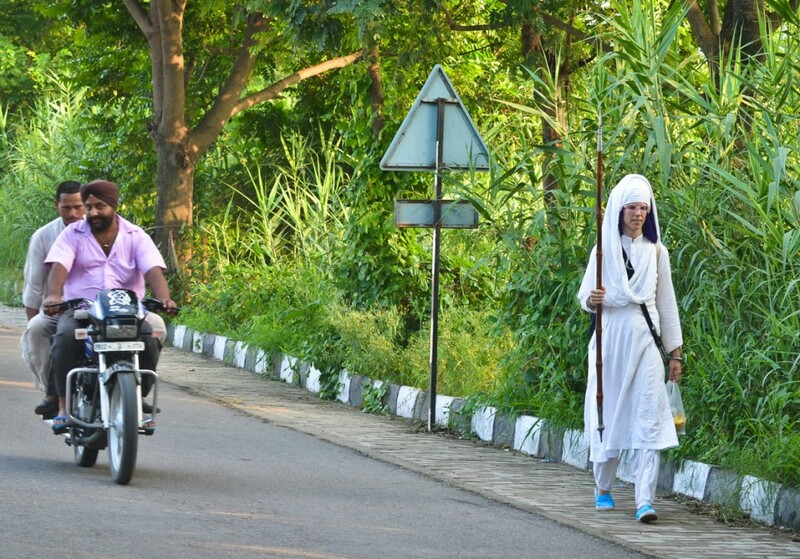 Those at the ashram, which is set in a large estate behind metal gates, said she arrived a couple of weeks ago. Intriguingly, there was no sign of her husband and those staying there said he was not with his wife. Mr Singh?s father died last month and Miss Aitken did not attend the funeral. In Anandpur Sahib, traders in the market outside the main Sikh temple said Miss Aitken worshipped there every day. On Friday, she declined to discuss her new life. However, it seems that Miss Aitken has not entirely cut herself off from her more glamorous past. Her website was registered in January at an address in Beverly Hills.